Our 30 strong team of projects and contract managers, including our own team installation engineers, annually complete more commercial catering projects than any competitor in the United Kingdom. Based throughout the country, The Airedale Group employs some of the most experienced and well-respected project and contracts managers in our industry, ensuring that as a Group we have the proven expertise to deliver even the most complicated of commercial catering projects. Recent examples of these include our Gilpin Spice Restaurant, Langdale Estate Spa Restaurant and O2 Intercontinental and The Commission projects. Our project managers will be the first point of call for all clients throughout any installation, working in collaboration with all other sub-contractors and stakeholders involved in the successful delivery of the scheme. 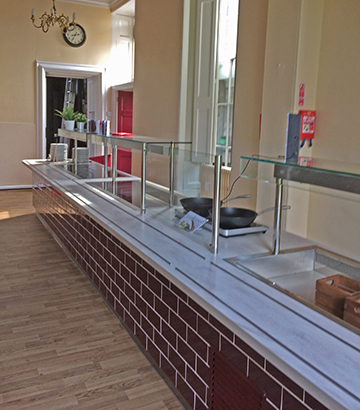 Quality control and resolving any snagging issues promptly are key responsibilities of the role and are the foundations to the excellent reputation the Group has forged in delivering our commercial catering projects on time and within budget. Take a look at our case studies or news and blog pages for the latest illustrations of our installations.